How do Africans use art to communicate with their ancestors? 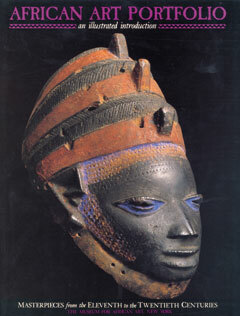 How are African masks used? These and many other intriguing questions are explored in this handsome, full-color portfolio, designed to introduce newcomers to African art and aesthetics. In addition to twenty-four 8 ½" x 11" unbound images, the African Art Portfolio comes with a twenty-four-page booklet that includes a brief introduction to African art and four short, well-illustrated essays that provide background information on each image.